The history of Livon wines dates back 1964 when Dorino Livon bought his first vineyards on the hills of Collio, in Italy’s North eastern region of Friuli bordering Slovenia. He built a winery perfectly equipped with the most technologically advanced systems in order to produce high quality and fresh white and red wines. The Collio region is re-known for producing some of Italy’s most enduring white wines. Livon has a diverse portfolio of wines and has earned a reputation for crafting brilliant white wines in Collio, though their holdings have expanded to other areas in Italy. 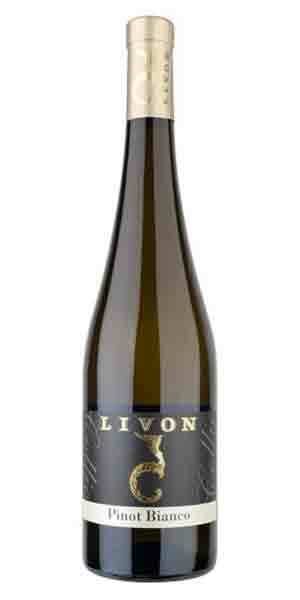 Livon produces both approachable everyday drinking white wines as well as limited production wines from designated Cru and Gran Cru sites. Made from Pinot Bianco grapes grown on marl and clay soils. The grapes are harvested by hand, pressed and cold settled. The fermentation takes place in steel tanks at a controlled temperature of 18°C and rests for five months at a constant temperature. Straw yellow colour, elegant and delicate bouquet, ranging from wild flowers, cherries, apricots and apples that carry onto the dry and medium-bodied palate.